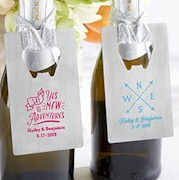 Celebrate a destination wedding with is vinatge design airplane key chain favor! Offer your guests a fabulous metal airplane to wish them well on their journey. 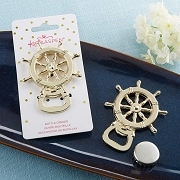 The airplane charm is made from metal and features a vintage one-propeller airplane in a rich antique brass finish. 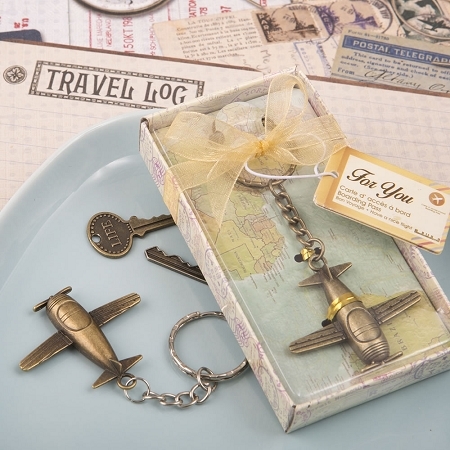 Hello i am pleased to say that my shopping experience with you was a very pleasant one, my vintage airplane key chaines favors are so nice and the delivery was fast. I would shop on line whit you again. 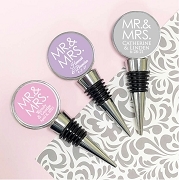 thanks to wedding favor discount i have found original wedding favors for my guests! thank you. Thank you so much for the offering. 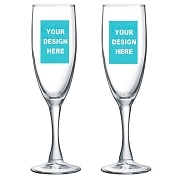 It was a very well received gift.